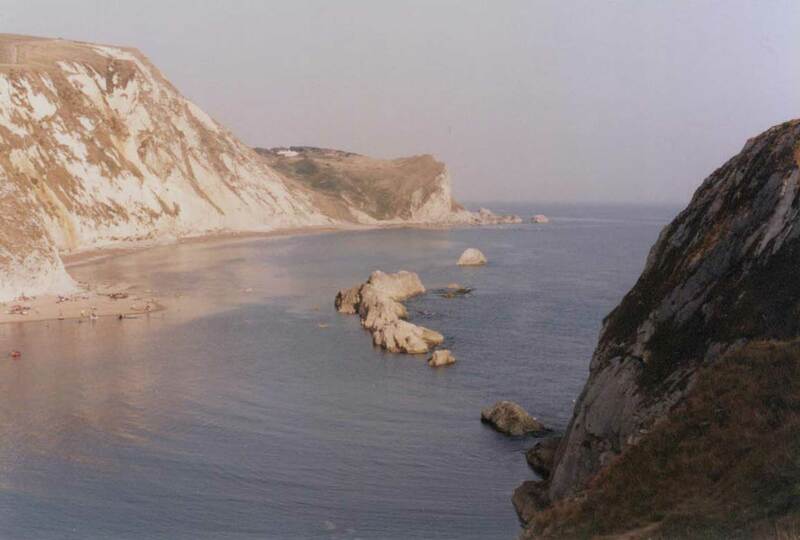 By the kind invitation of Graham Saunders of the Conchological Society of Great Britain and Ireland, I boarded David Pitman's fishing vessel Black Tigress at Weymouth at 12.15 pm and we promptly sailed to the Lulworth Bank between Ringstead Bay and Lulworth Cove off the Dorset coast. During the first hour a normal fish trawl was run out and towed at low speed for approximately 45 minutes in the hope of picking up larger molluscs such as the Great Scallop, Aequipecten maximus, to examine for encrusting molluscs. When the trawl was recovered, we only found a small quantity of Queen Scallops Aequipecten opercularis, and mobile molluscs Squid, Loligo forbesi, and Cuttlefish, Sepia officinalis. Spider Crabs Maja squinado, and fish were brought aboard. The fish included Plaice Pleuronectes platessa, Dragonet Callionymus lyra, Red Gurnard Aspitrigla cuculus, juvenile Sole Solea solea, and members of the sharks: Smooth Hound Mustelus mustelus, Lesser-spotted Dogfish Scyliorhinus canicula, Thornback Ray Raja clavata and Blonde Ray Raja brachyura. Some of the Dogfish were retained to examine the stomach contents for small molluscs which might be part of their diet. Four more trawls were carried out using a purpose made trawl for smaller molluscs. The first trawl appeared to have been over a bed of dead Maerl, Phymatolithon calcareum, judging by the net contents which were mainly Maerl plus some larger molluscs such as the Oyster Drill Ocenebra erinacea, Oysters Ostrea edulis, Common Whelks Buccinum undatum, the attractive Pelican's Foot Aporrhais pespelicani, Prickly Cockles Acanthocardia echinata, Slipper Limpets Crepidula fornicata, Queen Scallops Aequipecten opercularis, Saddle Oysters Anomia ephippium, Banded Carpet Shells Venerupis rhomboides, Tower Shells Turritella communis, and Dog Cockles Glycymeris glycymeris. The mollusc haul also included Netted Dogwhelks Hinia reticulata (= Nassarius), which were unusual as this gastropod is usually associated with shallow near-shore waters. Small Spider Crabs Maja squinado and Velvet Swimming Crabs Liocarcinus puber were also part of the haul. The second trawl was over shell sand; it contained a lot of shell debris and had the most interesting and most varied molluscan fauna. Baltic Tellins Macoma balthica, Chinaman's Hats Calyptraea chinensis, Nut Shells Nucula nucleus, Pandora Shells Pandora albida, Tower Shells Turritella communis, Abra Shells Abra alba, Donax Tellins Tellina donacina, Thin Tellins Tellina tenuis, juvenile Razor Shells Ensis ensis, Banded Venus Venus fasciata, Striped Venus Venus striatula, Oval Venus Venus ovata, Arctic Saxicave Hiatella arctica, Necklace Shells Natica alderi, Subtruncated Trough Shells Spisula subtruncata, Basket Shells Corbula gibba, Little Cockle Parvicardium exiguum, Faroes Sunset shells Gari fervensis, Tusk shells Dentalium entalis, Keyhole Limpets Diodora aperta, and Great Topshells Gibbula magus. Only a few of the shells were alive, the majority of these being the Basket, Nut and Necklace Shells. The third trawl appeared to have been over hard ground and contained little else than Brittlestars Ophiura texturata, a Sea Mouse (a type of scaleworm) Aphrodita aculeata, Slipper Limpets and Velvet Swimming Crabs. The final trawl was over a bed which contained mainly Tower Shells, both alive and dead. However, it did produce a few interesting molluscs, notably the Lesser Octopus Eledone cirrhosa, and a number of Paper-Bubble Shells Philine aperta. Two interesting crabs came up in the trawl. These were Goneplax rhomboides, known by several common names including the Angular Crab, and the rarer Circular Crab Atelecyclus rotundatus. The Black Tigress returned to Weymouth at approximately 16.00. The majority of the molluscan material was taken by Graham Saunders for further sorting and study (some under the microscope) at various study institutions at home and abroad. I retained some for sorting at home and adding to my collection of Dorset coast marine molluscs. After discussing the list of material from this trip with Graham Saunders over the phone on 18 June 1994, the following molluscs can now be added: Odostomia ambigua found on the Queen Scallop wings, Mengelia smithii, Belenebula sp., Laurua rufa, Abra prismatica, Abra nitida, Cultellus pellucidus, Hinia incrassata, Hinia pygmaea, Parvicardium scabrum, Arctica islandica, juvenile Otter Shell Lutraria lutraria, Epitonium clathrus, Diplodonta rotundata, and the Egg Cockle Laevicardium crassum. The uncommon Comarmondia gracilis was discovered and this was the first live specimen seen by Graham. A specimen of Natica fusca was also found. This species is probably at the northern limit of its range.